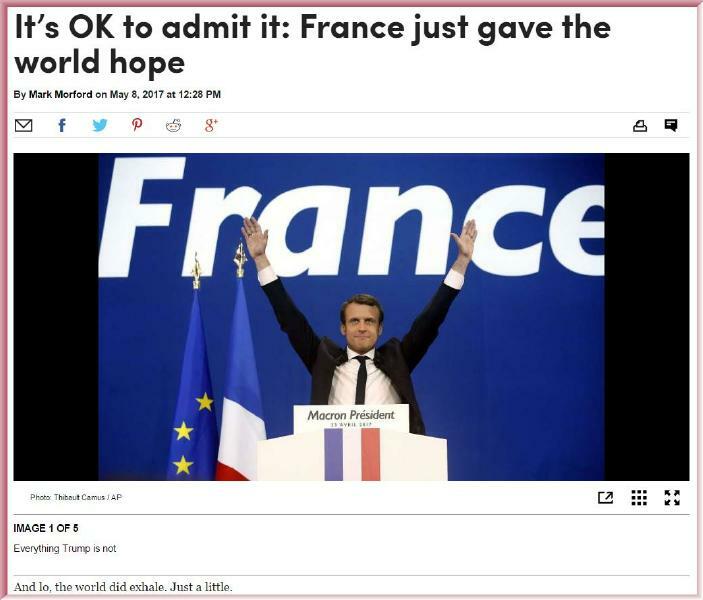 French media handled it all better. They did not bleat out endless fake news or tweet blatant misinformation  even merely to debunk it. They did not swarm all over the scandalous 9GB email dump that happened a hugely suspicious handful of hours before the election, the result of a coordinated (probably Russian) hack that targeted Emmanuel Macron. They respected the traditional pre-election media blackout. They heeded the national rule not to publish false news. In short: The French media didnt succumb to mania, the racist candidate didnt encourage her followers to beat people up, the voters werent fazed, the polls proved accurate and the far better, more calmly intelligent candidate won. The best news of all? Despite months of icy dread, Marine Le Pens xenophobic, Trump-stabbed populism was crushed, quite overwhelmingly, by a 2-1 margin  though as many have pointed out, she can still claim that her party doubled its turnout percentage from when her father, another racist xenophobe, led the party. Translation: The far-right Nationalist Front is stronger than ever. So, you know, ne pas être complaisant.